Radical Brad is working on a modern expansion for the Commodore VIC-20. The features are VGA video, 4096 colours, 16 Megabytes of fast audio / video memory, a blitter system (sprites) and 4 channels of 8 bit sound. 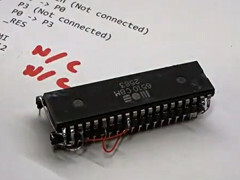 A demonstration video of the VIC-2000 Expander. 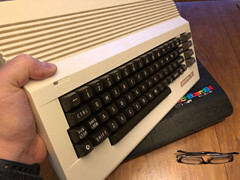 Eric Hill built himself a modern Commodore C64. He used an Individual Computers MK2 Reloaded, Kickstarter C64C case and the Mechboard64. 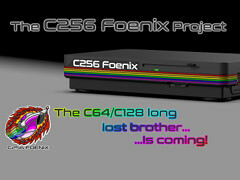 Stefany Allaire is working on a successor for the Commodore C64/128. Recent changes: A new design for the case. 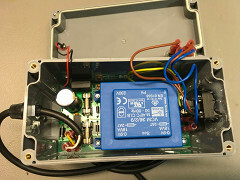 Sven Petersen has developed a replacement power supply for the Commodore C64. 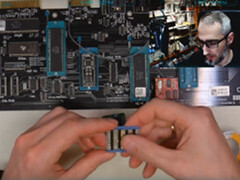 You can built the power supply yourself. The schematics, parts list and PCB lay-outs are available on GitHub. 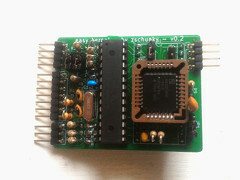 Jan Derogee has developed new hardware for the Commodore VIC20 and the C64. 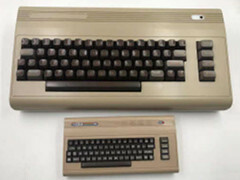 The VIC20 and C64 don't have a numerical keypad like the C128. 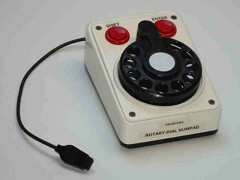 To solve that problem in the most possible retro kind of way, there is now the "Rotary Dial Numpad". 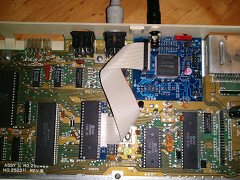 C0pperdragon has developed a modification board for the Commodore 64 with a YPbPr video output. 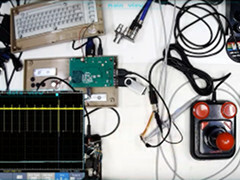 This device passively listens to 22 pins of the VIC-II and uses an FPGA to create a pixel-perfect video image. Daniel Renner made a video about the new Turbo Chameleon v2 cartridge from Individual Computers. 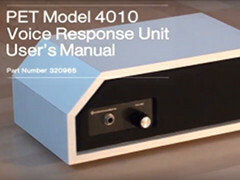 Rob Clarke has made a video about the Commodore PET 4010 Voice Response Unit. 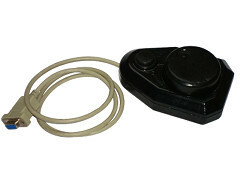 This device was developed for the Commodore PET/CBM computer by the Votrax corporation. 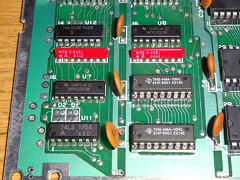 SIDFX is a device that makes it possible to install two SID chips inside your Commodore C64, SX-64, 128, 128D or C64 Reloaded. The features are: No soldering required, direct audio-output, automatic detection of different type of SID's and easy configuration. 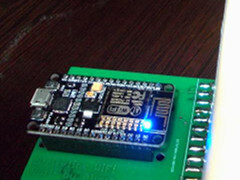 The magicFlash64 is a kernal replacement for the Commodore 64. 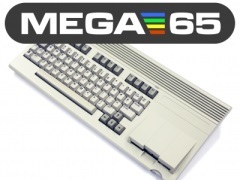 The features are: 64 x 8 KB slots (writeable from the C64), flash memory and a Atmega48 micro controller. 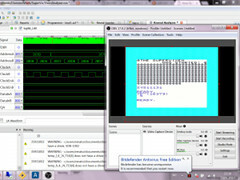 Paul Gardner-Stephen is working on a FPGA version of the Commodore C65. His goal is to make an 8-bit computer for the 21st century. Most recent updates: Improvements for audio mixing, freezer, SID, disk-drive and sprites. 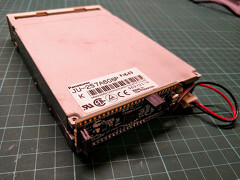 The FluxEngine is a very cheap USB floppy disk interface capable of reading and writing exotic non-PC floppy disk formats. At this moment not all formats are supported but a few examples are: IBM MFM / DMF, Atari ST, Acorn (A)DFS, Amiga, Brother, etc. Dan Wood talks about the connecting an Amiga A500 to the internet. 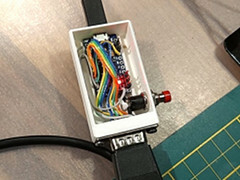 He is using a WiModem232 to make the connection between the RS-232 on the Amiga and a Wifi signal. Keir Fraser released new firmware for the GOTEK. Improvement in this version: Game/demo AutoSwap, OLED display text and support for HDM image files. Daniel Renner made a video about replacing the memory of the Commodore C64 with the SRAM64 module. 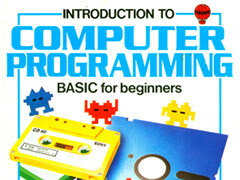 Holger Weßling wrote a book about the C64 Mini. In this book: Update Firmware, Disk management, Operating systems, Programming languages, Emulators, Hardware, USB, Modding, Hacks, Tips & Tricks, Demo's, Wiki's and FAQ. The book is now also available in a printed version (English & German). Jan has made a "joystick" especially for playing games like Decathlon and Crank Crank Revolution. Individual computers has announced the Turbo Chameleon 64 version 2. The features are: VGA, Turbo (9.8x), 16MB REU, 4MB GeoRAM, MMC/SD card, PS2 keyboard & mice, realtime clock, USB and cartridge emulation: Action Replay, Retro Replay, KCS Power cartridge, Final Cartridge 3, Expert Cartridge, SuperSnapshot 5, etc. 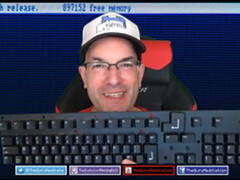 In this episode of the Guru Meditation: Bill takes a look at the new Commodore Amiga keycaps from A1200.net. The guy old made a video of a rare hardware expansion for the Commodore PET/CBM computer. 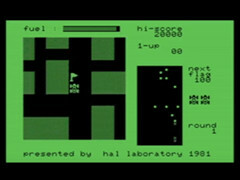 The HAL PCG-6500 is a graphics board with aprogrammable character set generator and a sound device. 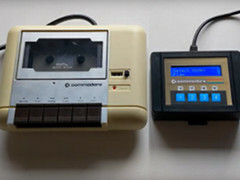 Christian Steenken has built a mini version of the Commodore SX-64. The features are: Excellway EF01 case, Raspberry Pi, 3.5" LCD, WiFi, keyboard, SD card an USB. 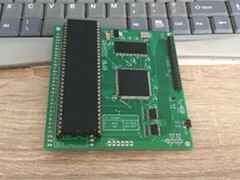 The Wicher 508 is new expansion card for the Amiga CDTV. The features are: 8MB Fast RAM (SDRAM) and a IDE controller. 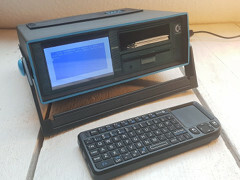 Rocky Bergen made a new papercraft design of a retro computer. 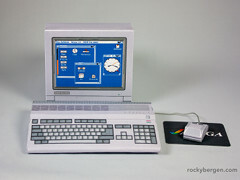 This time he made the Amiga 500 including a monitor. 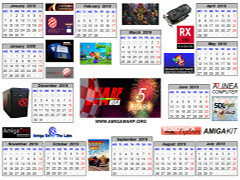 The Amiga WARP calendar 2019 is now available. You can use the standard version or the starfield version. Bwack is making a video series about the analysis of the VIC-II die shot. In this part: The address generator. 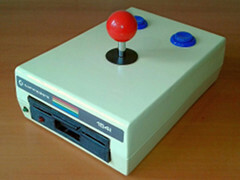 TSB made a converter to use the Arcade joystick on a C64 Mini. 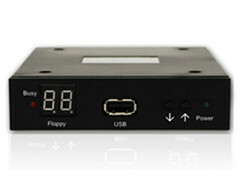 The converter transforms the digital signals from a Atari/DB9 style joystick to USB signals. 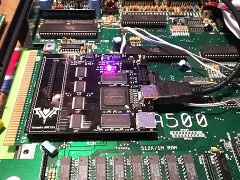 Retrohax has written a blog about installing a Vampire 500 V2+ in an Amiga A500. 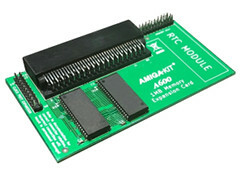 AmigaKit has released a new version of the 1 MB RAM expansion for the Amiga A600. The features are: 1MB RAM, auto configuration, optional Real Time Clock module and a 22-pin A1200 clock-port header. Geoanas is working on a new project. 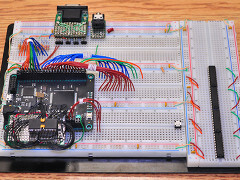 This time he built a WiFi modem for the Commodore C64. 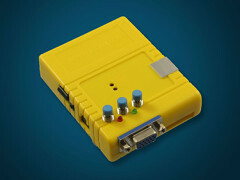 The modem connects to the user-port and is compatible with the CCGMS software. TheDuckSun is working on a C128 that fits into a C64 case. 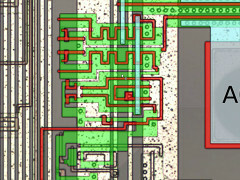 The features are: VIC/VDC switch, 8 bit colour RAM, 6-36 VDC, Dual-SID, etc. 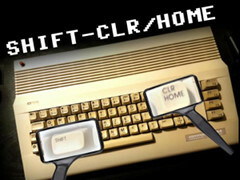 The C128 RM is now available for pre-order. 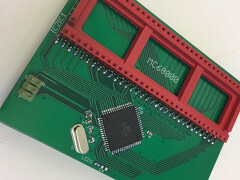 You can now look at the first photos of the full-size pre-production prototype of THEC64, complete with a fully functional integrated keyboard. 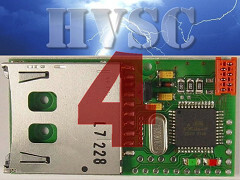 HVSC 4 SD2IEC is a project to convert the HVSC collection to a SD2IEC device. All files are converted to SID DNP files. You can also use the SD-BOX to listen to the SID music. 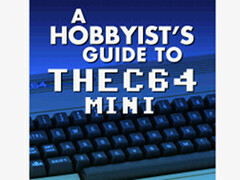 Holger Weßling wrote a new book about the C64 Mini. In this book: Update Firmware, Disk management, Operating systems, Programming languages, Emulators, Hardware, USB, Modding, Hacks, Tips & Tricks, Demo's, Wiki's and FAQ. 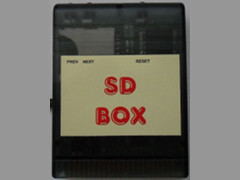 The SD-BOX is a cartridge with an SD card interface for the Commodore C64. 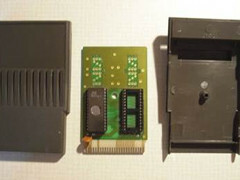 The cartridge has many functions for the disk drive and the Datassette. Recent updates: Colour schemes, improvements for the disk drive, language select, memory preview and copying. 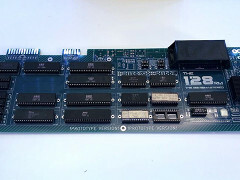 Kakemoms is working on a SuperCPU for the Commodore VIC20. The recent changes are: Support for a SD-card. 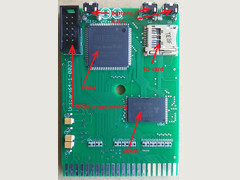 Peto74 is developing a new cartridge for the Commodore C64. 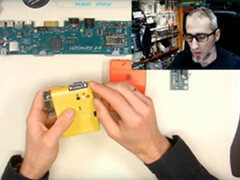 He is working on a prototype and the features are Altera Cyclone II FPGA, SD card, 3 buttons, 8MB Flash ROM and 8MB SRAM.